Your Message on a Mirror! - Mirrors get people involved - Watch them smile! 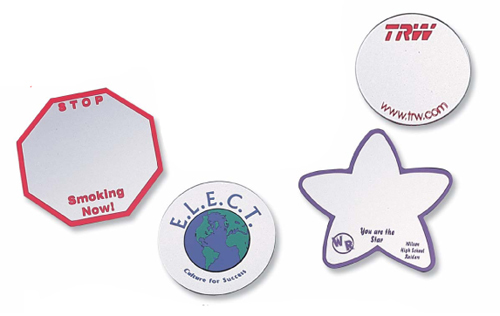 Price Includes: Acrylic Mirror Button/Magnet with one color imprinted and pin or magnet back.